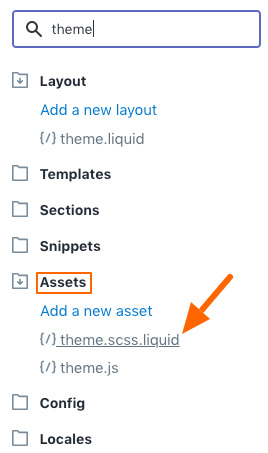 When making style changes to your theme, we recommend that you add CSS override code to the bottom of the main theme.scss.liquid file. This preserves the original source code of the theme when makes troubleshooting much easier as well as updating your theme to a newer version. 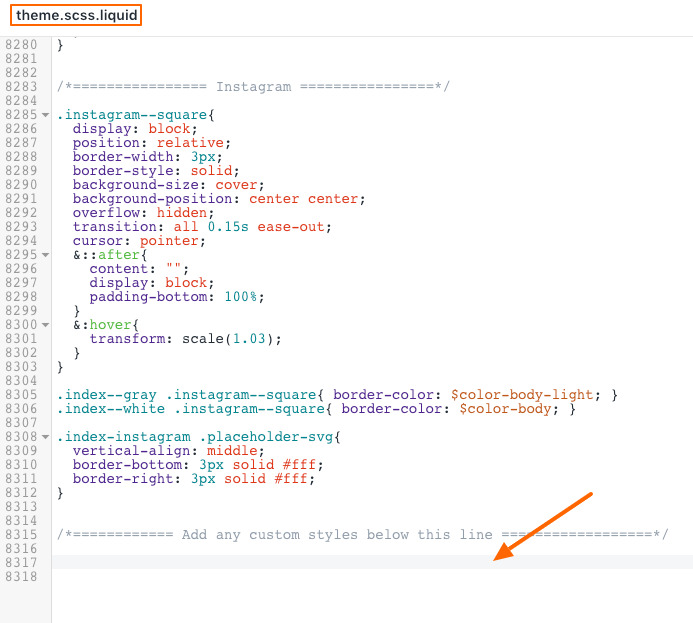 From the theme editor (customize theme) click "Theme actions" and then "Edit code" to get to the theme editor. On the right code area, scroll to the very bottom of the file (it's a very long file), add the code snippet to the very bottom of the file on a new line after all other code. Make a couple blank lines before pasting the code snippet. Keyboard shortcuts: Mac use Command-DownArrow to reach the bottom of the file quickly or on Windows use the End key. It's very important to add the code to the bottom of the file rather than modifying the original source code. This will help when you update your theme to a newer version and most importantly preserves the original code in case the code you add does not work or you need to remove it in the future. Always add the code on a new line and do not mix with any other code. Pro tip: Always make a duplicate of your theme before performing code changes. Modify the code at your own risk. Groupthought will not provide any warranty or support for code changes. Please work with a developer or Shopify Expert to ensure proper customization. 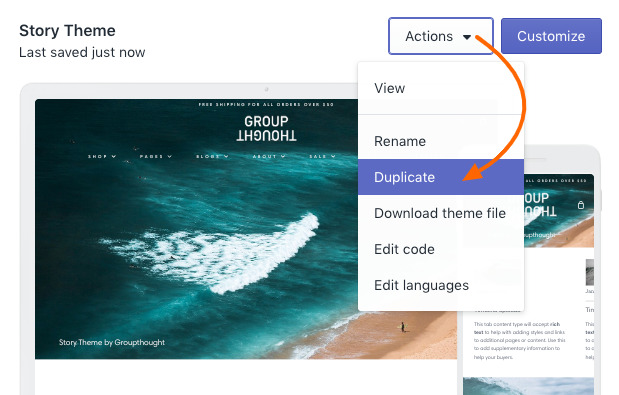 We strongly recommend that you make duplicate of your theme before adding or changing any code in your theme.